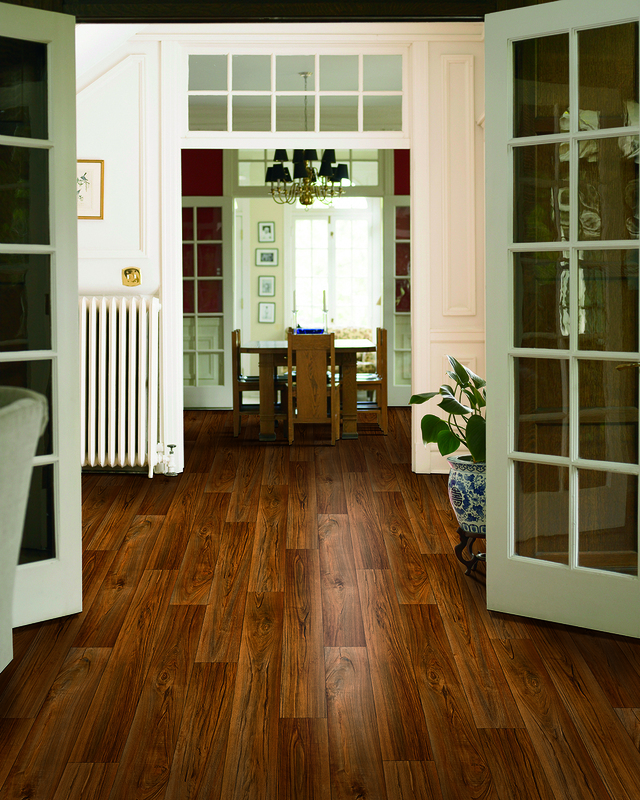 We offer a wide variety of sheet vinyl in colors and designs with the look of authentic hardwood or tile to match your style. It also delivers durability with spill and stain protective wear layers for an easy clean up while also withstanding some scratches and scuffing. Incredibly soft and warm underfoot, quieter to walk on, and low maintenance make sheet vinyl a comfortable choice for active households. Because sheet vinyl is offered in wider widths than traditional choices like hardwood or ceramic, it easily installs in most rooms without obvious seems or joints. That means no places for dirt or grime to hide, or spills to absorb.